The risk of suffering a heart attack is highest around 10 p.m. on Christmas Eve, likely due to peak emotional stress, according to a new study in the Christmas issue of The BMJ. Researchers in Sweden analyzed the exact timing of 283,014 heart attacks reported to the Swedish coronary care unit registry over a 16-year period from 1998 to 2013. Compared to the weeks before the holidays, Christmas Eve came with a 15 percent increase in the risk of heart attacks. A similar increase — 12 percent — was seen for Midsummer, an important holiday in Sweden. An undated stock photo depicts a fallen Christmas tree. The authors explain feelings of anger, anxiety, sadness, grief and stress have been found to increase the risk of heart attack in previous studies. In the current study, those older than 75 and those with a history of diabetes and coronary artery disease were found to be most vulnerable to short-term triggers. “Holiday stress, both emotional and financial, can lead to spikes in norepinephrine and adrenaline, which can have detrimental effects on the cardiovascular system,” said Dr. Kaitlyn Ibrahim, a board-certified internal medicine physician specializing in cardiology in an interview with ABC News. 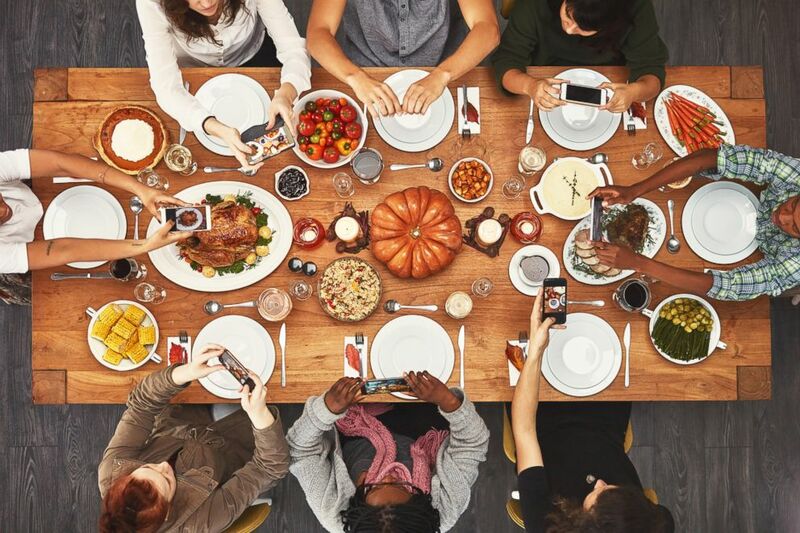 A stock photo depicts people using their phones during a holiday meal. In addition, people often over-exert themselves around this time of the year — shoveling snow, dancing at family parties — and indulge in foods and drinks they may not normally consume, like excessive alcohol, caffeine and fat-rich foods, explained Ibrahim. Beyond heart attacks, Ibrahim said the holidays can also come with what is known as “holiday heart syndrome,” a condition that brings both healthy adults and adults with heart disease to emergency departments around the country for abnormal heart rhythms following overeating and excessive alcohol consumption. “We are out of our routine and patterns during the holidays, and it is particularly important to stick to a healthy diet and limit alcohol consumption, especially if you have known heart disease,” said Ibrahim. 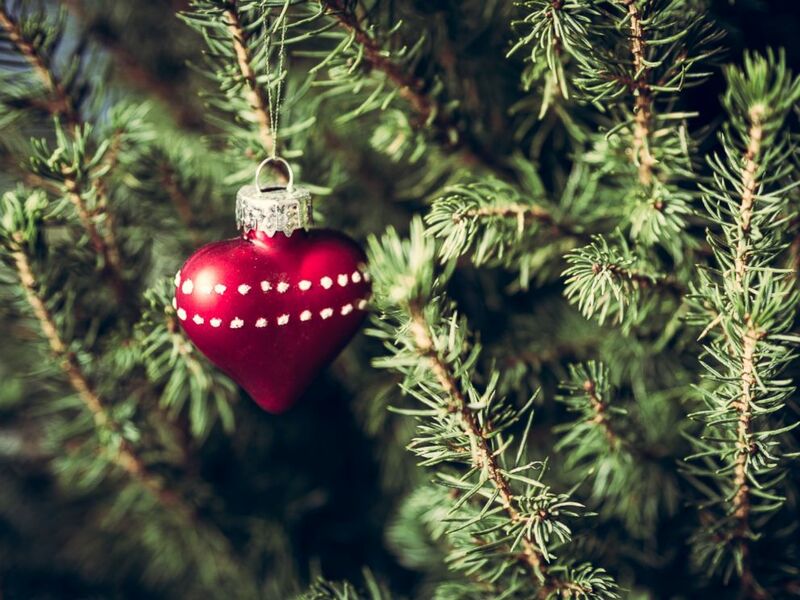 An undated stock photo shows a heart-shaped ornament on a Christmas tree. In addition to healthy habits, Dr. Barbara Robles, a psychiatrist at Long School of Medicine at UT Health San Antonio said that self-care is more important than ever during the holiday season. “Go out for a walk or just get some fresh air and know your limits. Remove yourself from situations and conversations that you know are likely to cause you anger, anxiety or stress,” said Robles in an interview with ABC news. For those with known heart disease, Robles also recommends avoiding discussions of big issues during the holidays, when emotions are already running high. “Remember also to offer comfort to those who are at high risk of stress and emotional distress. Be extra mindful of those who may have lost a loved one over the holidays…offer them a big hug, a tap on the shoulder, some warm words and a listening ear,” Robles said. Dr. Edith Bracho-Sanchez is a board-certified pediatrician, a Stanford Global Health and Journalism fellow, and a member of the medical unit at ABC news.